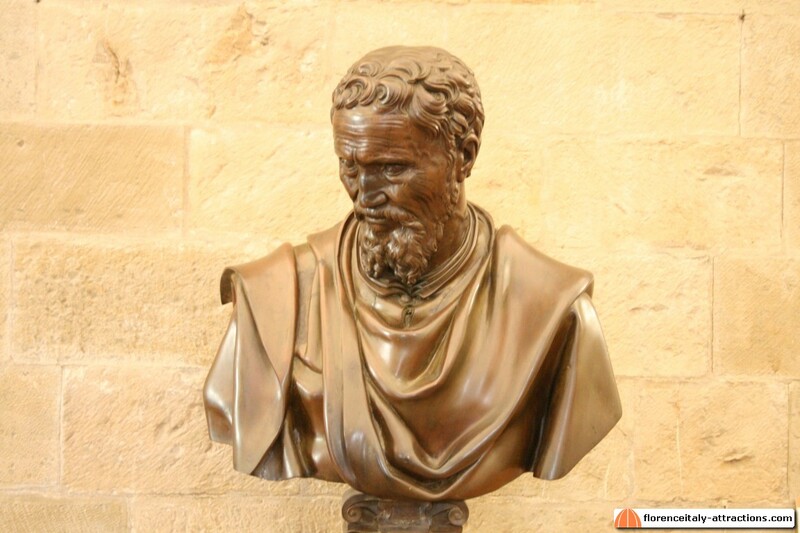 Michelangelo Buonarroti (1475-1564) is considered the father and master of all arts. Sculptor, architect, painter and poet, the Florentine artist raised the Renaissance to its highest point. 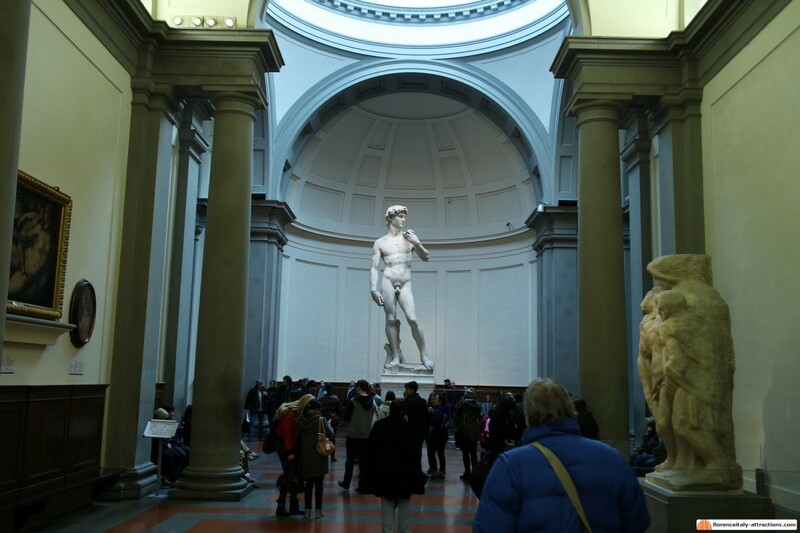 Most of his works are split between Rome and Florence, this tour shows you the masterpieces by Michelangelo in Florence through the visit of three amazing museums. We start the tour in the ancient Bargello Palace (1255), where you will be told about how the building was a prison, where people was tortured and condemned to death. We will see where Michelangelo comes from, through the works by Donatello and Andrea del Verrocchio, discovering how David was a symbol of Florence well before Michelangelo dealt with his huge statue. We will then admire some of his early masterpieces and you will get to know the incredible way the young artist earned a prestigious commission in Rome and the hidden symbology behind his portrait of Brutus, probably related to a member of the Medici family. The second stage of the tour features the most famous statue in the world: Michelangelo’s David. In the Accademia Gallery we will analyze the unique sculptural technique of Michelangelo through the unfinished Slaves. 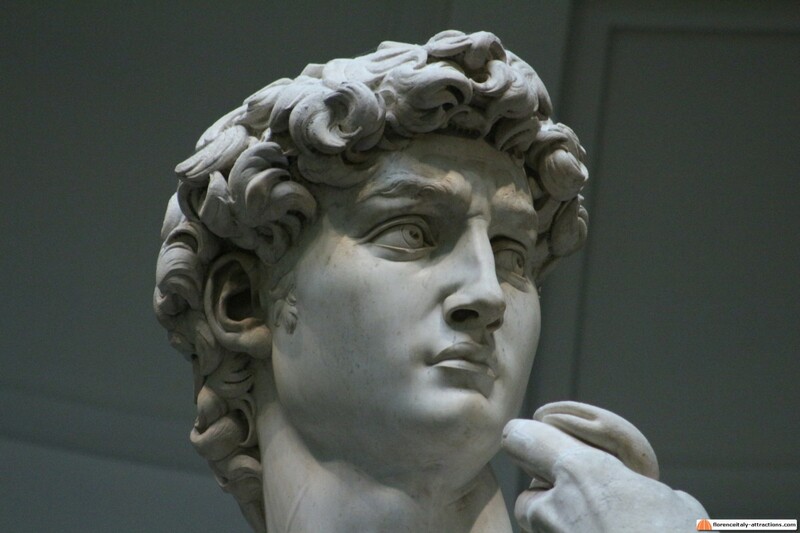 You will be told the story of how Michelangelo created his masterpiece from a low quality block of marble, how he reacted to criticism and how the statue was destined to a totally different location, analyzing the different symbology of this David compared to the earlier statues seen at the Bargello. 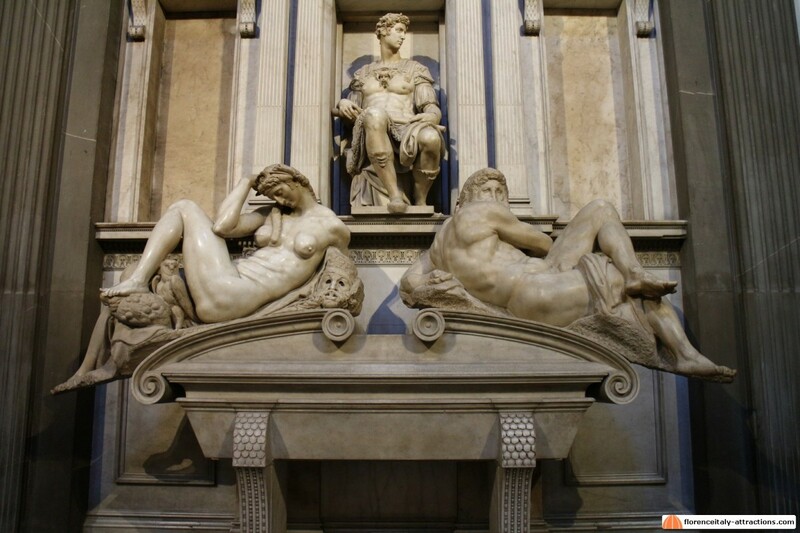 Finally, we will visit the Medici Chapels, to see the last Florentine works by Michelangelo. You will get to know why the statues do not resemble the real aspect of Lorenzo and Giuliano de Medici and what Michelangelo actually intended to represent. 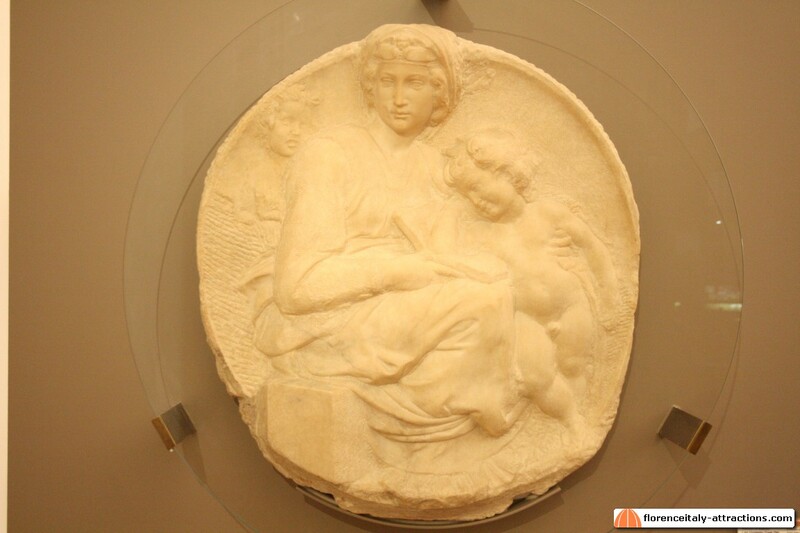 How is Michelangelo Masterpieces Tour different? First of all, different from what? You won’t find tours including all the Michelangelo masterpieces anywhere else. Some Michelangelo Tours do not include the Accademia Gallery (David), other tours do not include either the Bargello Museum or the Medici Chapels. Why? Because agencies and tour operators are concerned with selling you as many tours as possible: so if any other tour in their list includes the Accademia, they want you to buy that tour as well. We are different: even though the Accademia Gallery is included in two more tours in our list (Florence Walking Tour and Florence in a Day), we want to give you a complete perspective of Michelangelo masterpieces in Florence and this cannot be done without the Accademia Gallery, displaying seven works of the master including David, the most famous one. As you can see we are not concerned with selling you as many tours as possible but with giving you the best possible experience. By the way, if you want to buy another tour that includes the same attractions, we will adapt it so that you’ll never see the same attractions twice. This is a private Michelangelo Masterpieces Tour. You won’t join any large or small group of tourists, it’s meant for you, your family and/or your friends. The Florence Tour Guide will be at your service for the duration of the tour, assisting you in buying skip the line tickets for the Accademia and explaining to you whatever you want to know. 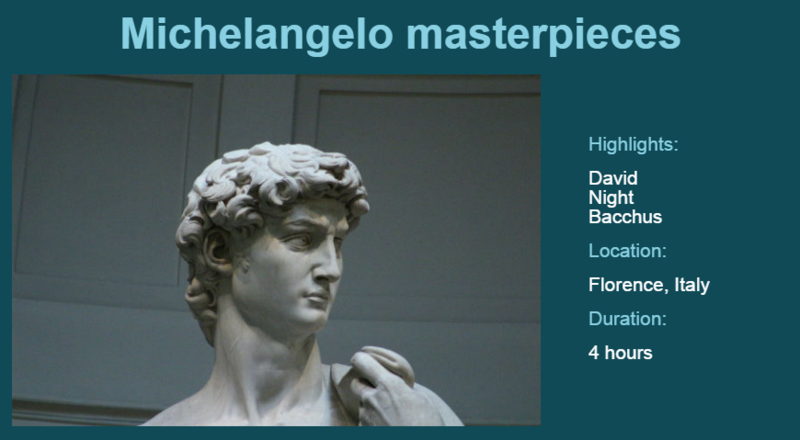 Is our Michelangelo Masterpieces Tour expensive for you? Any agency will price a private 4 hours Florence Walking Tour no less than € 550. Here you can hire directly a local genuine Florence Tour Guide, so you save any agency or middlemen fees, which means paying up to 60% less. 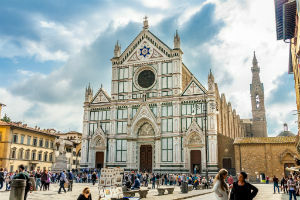 The tour is certainly expensive if you travel alone, but it’s as low as € 48/person for a family of five: much less than any 4-hour Florence Day Tour offered online and a much better experience than any shared group tour.